There is an up to date limited directory on this site in the Members Only Section. There is also a Complete directory on this site. Sign in to Members Only then scroll down to Council Documents Library. The complete directory is available in both Excel and PDF. (The complete directory is only updated about 2-3 times per year) This area also contains other secured documents including our meeting minutes. Larry's List and other links are now available on the "Links of Interest" on this site. Links to our Churches are on our "About Our Council" and our "Links of Interest" page's. If you would like to volunteer to help with our website, or anything else that we do, please contact our Grand Knight or the Webmaster. If you are a Chairman or Co-Chair of any of the events listed on our calendar, please update your event information. You automatically have access to change and update your event! Just click the "Members Only" link on the left, sign in using your Knights ID number and birth date and you can make changes (except the date) to your event! Manage sign-ups, change wording, correct typos, add/change co-chairs or add flyers or photos. Control of your event is in your hands and we highly encourage you to add and update your information. * If your event is not yet listed on the calendar, contact our DGK or Webmaster to have the event added. If the event date is wrong or you need any help with this please contact the DGK or Webmaster. If your event requires scheduling specific time slots, you can start a sign-up sheet by clicking here. Ultimately you are responsible to set-up, maintain and delete your sheet, but if you need help with this please contact Peter Stresino or the Webmaster. If you would like to use our generic "Checklist for running an event" please click the link above. The benefits of becoming a member of the Knights of Columbus have never been greater. Our objectives and programs provide every Catholic man with meaningful ways to serve our church, community and neighbors. *Please consider this is Your Invitation to Join Us. You can join the Knights of Columbus online! Go to www.KofC.org/joinus for details, or view the flyer. All Knights that perform volunteer work, attend meetings, give blood, visit the elderly or many various other forms of charity work are requested to fill out a form 1728 every year. This form lists the total hours your gave to help people in need and yes it includes time spent in our council meetings. All council and non-council activities. The form 1728 is due back to the council by December 31 of every year. The information is used to have an approximate idea of the good work we do as an organization. Our Supreme Office tracks the work of each council. So please print off a form 1728 fill it our to the best of your recollection and turn it in to your Church Representative (currently: Nick Bratt for St Hubert, Bill Gulik for CHS and Gene Niewiedomski for St Matthew). Please try to turn it in early. Preferrably by the last business meeting of the year. For all “Not For the Public” information like personal contact data, meeting minutes, financial documents and/or any other confidential information, you must be a member of our council and an ID number and password are required. Click the link above for more details on how to access this information. New Knights and their Mentors! Welcome to our new Knights. This area will list our newest members and their Mentors. Your Mentor will help to answer questions and guide you through your first year of Knighthood. Please refer to the New Knight Welcome Letter (above) and the Mentor Orientation form (below). All contact information is listed on the Members Only Page. You are responsible to help our New Knights feel welcome and an important part of our council. Please take this responsibility seriously. The growth and retention of our council is in your hands. Most Mentors will be Trustees (Past Grand Knights), or anyone that wishes to volunteer. 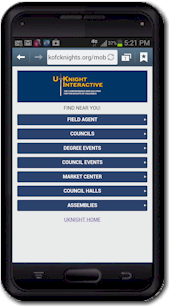 Please check the New Knight area above to see who you are mentoring and use the orientation form here as a guide for you and your New Knight. Print it out (along with the Welcome Letter) and go over this form with your New Knight and keep it handy for the first six to twelve months of your New Knights tenure. If you would like to be a mentor please click here to sign up. Each year all Knights are encouraged to bring 40 cans of food to any of our meetings or events during the Lenten season. These cans (or boxes) of food will be donated to the CHS food pantry! Please give your donation to Tim Figiel anytime as he will coordinate the collections. Our State office will match donations based on weight or value. Cans of food are preferable as they are heavier than dry boxes but we will take anything you wish to donate. If you can't bring food please feel free to make a cash donation to this worthy cause. Knights of Columbus council 6964 is sponsoring a “Keep Christ in Christmas” Poster Contest. Open to children between the ages of 5 and 14, age eligibility is determined by the age of the contestant as of November 1st. Cash prizes will be awarded to the winners in each of three age categories. The Helping Hands program is designed to recognize the important work many councils already do to care for the most disadvantaged members of our communities – the homeless, the addicted, the elderly who may feel isolated and abandoned, and many others. Put your faith into action and help those less fortunate in your community. The kinds of things we do include. Every year in September the Knights are on street corners and at local businesses giving away Tootsie Rolls for donations to help people with intellectual disabilities. All the money we collect goes to local charities! Gigi’s Playhouse, Special Camps, Misericordia, Elite Stars, and all three of our churches “Gift Programs”. Many local communities, including ours, have been increasing restrictions on corner solicitations over the last few years. Because of this we are looking for additional sources of donations for our ID Drive. We have decided to solicit local businesses to make a donation for Tootsie Rolls in bulk. They can then give them to their clients, customers or employees. Each business will get a container and a laminated sign to post with the TRs to show that they made a generous donation to support the K of C and local ID charities. Other councils have done this in the past with much success. We have ordered Tootsie Rolls and will start this campaign in mid-July and run thru mid-late August. Minimum donations are $20 per sleeve or $100 per case (300 Tootsie Rolls / 6 sleeves per case). We are asking you, our Knights, to help find businesses willing to participate. You can sign up to join our team if you would like to go out and visit businesses, or if not, maybe you could at least check where you work to see if they would be willing to participate or just make a donation. Please let us know how you can help. Sign up online or give us a call. For additional info or to sign up please contact Jim Manfre, Tom Senese or Mike Sulentic. The Food Pantry at Church of the Holy Spirit serves about 150 families per week and provides them each with about $150 worth of groceries! Anyone with a valid Cook County ID can shop at the Pantry once each month. The Pantry is open every Thursday from 2 to 5 pm. Send your family and friends in need. For more info or to volunteer as a helper, please contact Tim Figiel. The 200 Ticket Raffle to support K of C activities. Tickets are $10 each. First Place winner receives $500. 9 winners receive $50 each. 2018 drawing is on July 22. Winner need not be present. Tickets will be sold at St Hubert after masses on July14 & 15. For more details or to buy tickets please contact Joe Tuccori. Our council will be helping to keep our local roadways clean. Volunteer to clean up litter along Higgins (Rt 72) between Plum Grove and Rt 53. The dates we will be working in 2018 are: April 28, June 30, August 25 and October 20. We will meet at the I-Hop on Higgins near 53 at 8:30 am before each event. Sign up online to volunteer or contact Jerry Bromley for more details or to volunteer. All participants are required to watch a 4 minute IDOT video before helping. Click Here to see the video. Our Ways & Means Chairman is Tom Senese. Tom is always looking for new ways to raise money for our Churches and local charities. Our "Dine to Donate" program is one of Tom's favorites! Eat at a participating restaurant, give them the coupon and a portion of what you spend comes back to the council! Bring your family and friends. See the calendar for current events. If you are interested in helping in any way or if you know of a restaurant that would be willing to participate in this program PLEASE let Tom know. St Hubert has been hosting this event for the last several years at the beginning of Lent and we hope it will continue. The confirmation class will hold a simple Lenten Soup and Bread Meal. Please join us in the lower level of the church. We will also be serving peanut butter & jelly sandwiches and macaroni & cheese for the little ones. There will be a free will donation, of which all proceeds will go to the Food Pantry at Church of the Holy Spirit and the Youth Ministry Mission trip. Please join us afterwards in the church for Stations of the Cross. If you would be willing to donate a pot of meatless soup, please call the Religious Education Office at 847-885-7703. For more details please contact Sir Knight Dave Sertich at 847-312-2906. Our council holds a Vocations Raffle every Fall to raise money to sponsor one of our Seminarians. By buying a ticket for $1 you can win up to $10,000.00!!!! Details will be posted for the next Vocations Raffle. Zacchaeus House (Luke 19) is a ministry of Catholic Deacons of the Archdiocese of Chicago offering hospitality to men in transition to stability in their lives. This is a not-for-profit, non-treatment residential home for displaced men seeking an opportunity to better their situation following misfortune or mistake. The house provides a secure environment of respect, order and peace while coaching men to sharpen their life skills, growth in self esteem and spiritual maturity towards achieving responsil=ble and independent living. The House subsists solely on the volunteer offerings of our benefactors. This handy guide will help you and your family to understand much of what the Knights are about and how being a Knight can become a positive addition to your family life.